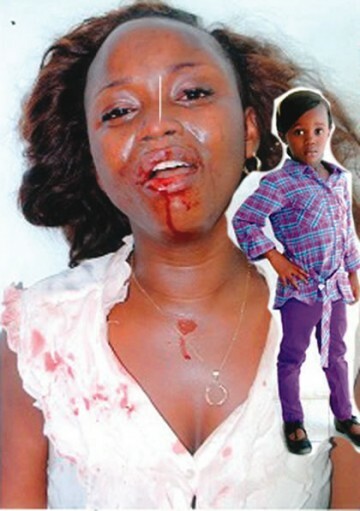 has continued to trail the murder of five-year old Bethel Okoro, a kindergarten three pupil of Holy Cross Schools, Warri, Delta State.Bethel was allegedly flogged to death by her 34-year-old father, Becklin Okoro, an ambulance driver with the state-owned Warri Central Hospital, on Friday. Becklin was said to have been angered when he found out that Bethel, had visited her mother at 22, Numa Mejeyi Street, Iyara in Warri. Our correspondent gathered that Becklin, who is currently on the run, had been separated from Bethel’s mother for sometime due to allegations that he was always beating his wife. Bethel was said to have visited her mother’s apartment after closing from school instead of going home, a development that infuriated Becklin. He allegedly flogged the helpless girl severally before she fainted and was rushed to the Warri Central Hospital, where she eventually died. Becklin immediately took the corpse to the mortuary and ran away. He has yet to be apprehended since the incident took place. The 25-year-old mother of the deceased, Esther Uremure, a hairdresser, told journalists that a cloud of darkness had enveloped her world since she lost her daughter and described her ex-husband’s action as wicked. She said, “The father of my child killed her. He flogged her to death because she visited me in my place. On Friday, I was not at home but some youths in the area called me and informed me that my daughter was dead. I went to “A” Division Police Station to report the matter and they asked me to go to the Warri Central Hospital to confirm if it was true. The police authorities were said to have exonerated Becklin’s sister because there was no evidence to show that she was culpable. She added, “So, since then, the police have been looking for him and they have not seen him. The corpse is still in the mortuary. Becklin said I was not taking good care of the children. After the death of my father, he said he never knew that I was an Itsekiri by tribe and vowed that an Itsekiri woman could never be his first wife. “His family even intervened in the matter, but he refused. There was a time he beat me up in the presence of the two children I had for him. He comes here every day to make trouble, even on January 1, 2012, he beat me up, injured me on the face and broke my head. He comes to the salon to harass me. Meanwhile, individuals and civil society groups in the state have condemned Becklin for allegedly flogging his daughter to death. The Forum for Justice and Human Rights Defence said the alleged murder was not only barbaric, but unacceptable. Also, Dr.Veronica Ogbuagu, founder of the Every Child Counts Initiative for Education, said the beating of Bethel was the highest form of child abuse. ‘’Looking at the corpse of the girl, one would wonder if she fought with a lion. She was badly beaten. We are prepared to hire the services of a lawyer to prosecute the case. The police must go all out and fish out the suspect for him to face the music,’’ she said. Ogbuagu, a former Commissioner for Education in the state, added that there was an urgent need for the government to monitor the prevalence of various forms of child abuse in the society. The police spokesman in the state, Mr. Charles Muka, confirmed the incident, adding that the police were still on the trail of the suspect.